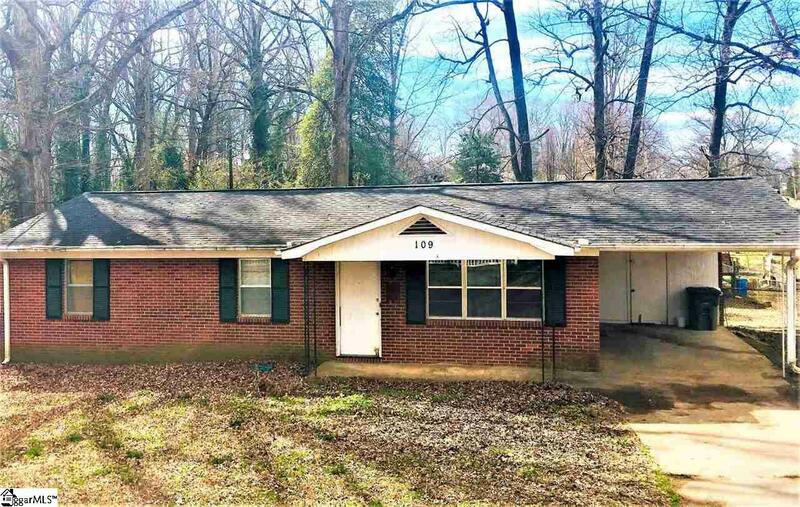 Brick Ranch with 3 bedrooms, 1 full and 1 half bath on a .35 acre lot located minutes from downtown Greenville. This home has unlimited potential with a few updates and your personal touch. Large, fenced backyard with trees for plenty of shade to enjoy time on the 11x10 deck. There are two out buildings for storage. One additional out building has a separate electric meter and shared water (with the house), that could be used for storage, an office, a studio or flex space, as needed. The home and all buildings are being sold AS IS with no repairs being made by the seller. This great value will not last long! Storage Space: Out Building, Out Building W/Elec.